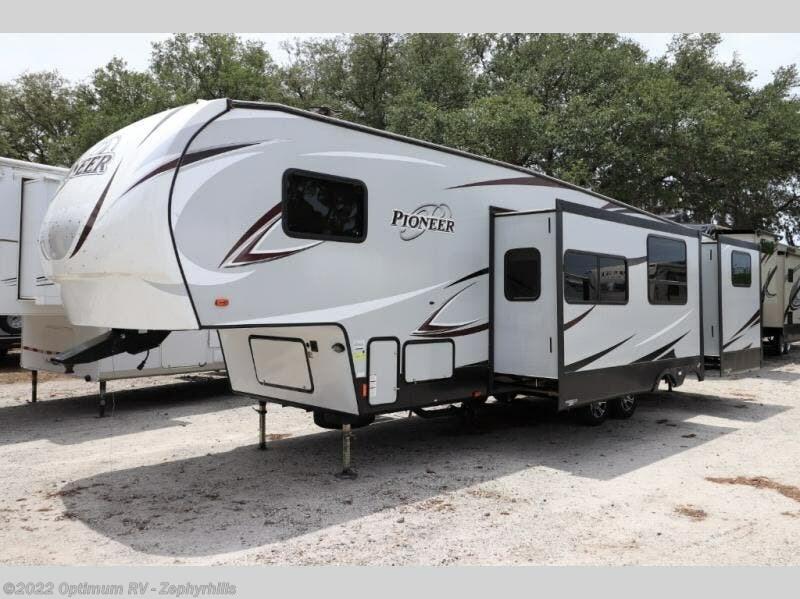 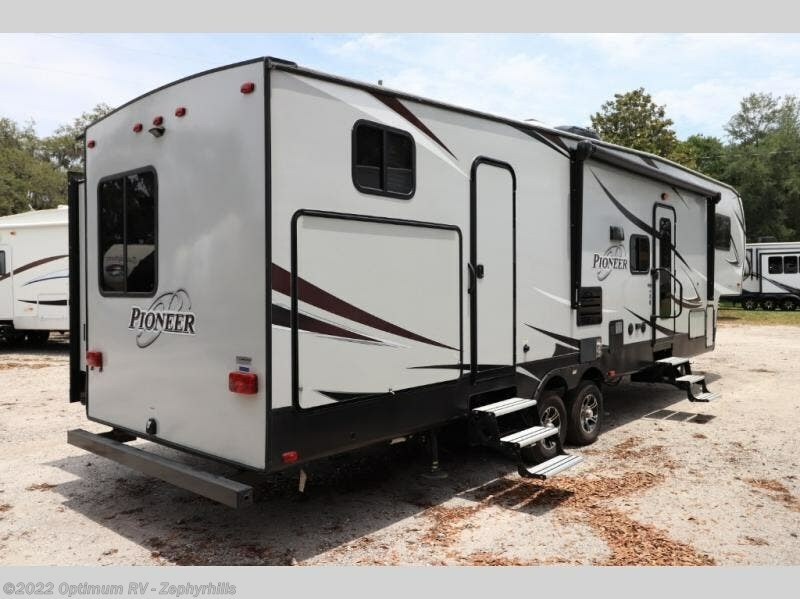 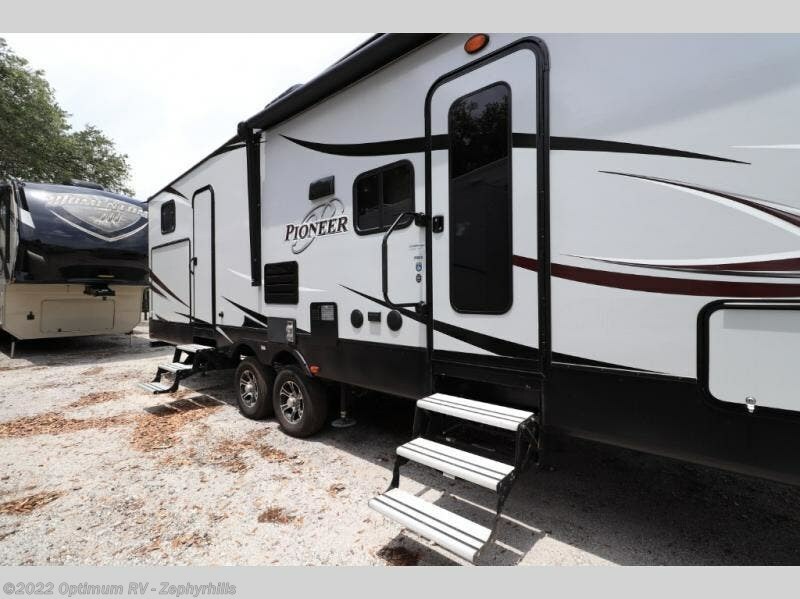 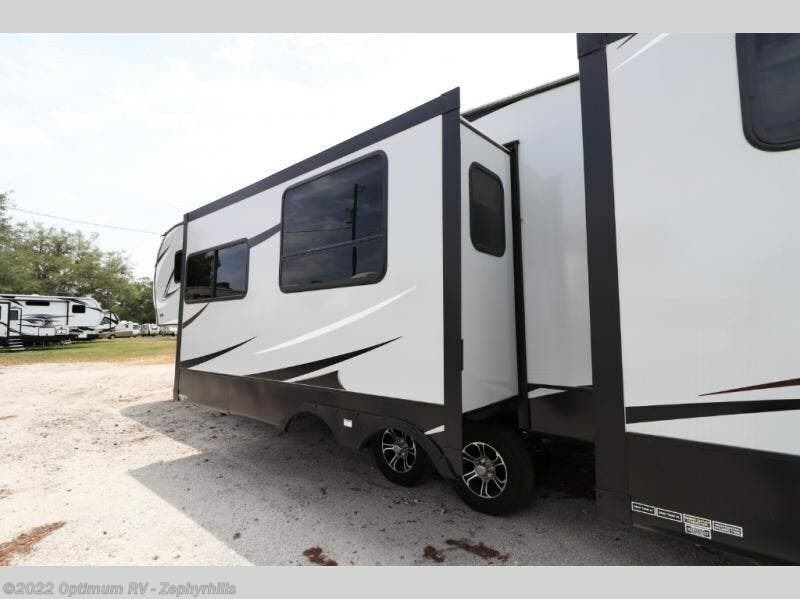 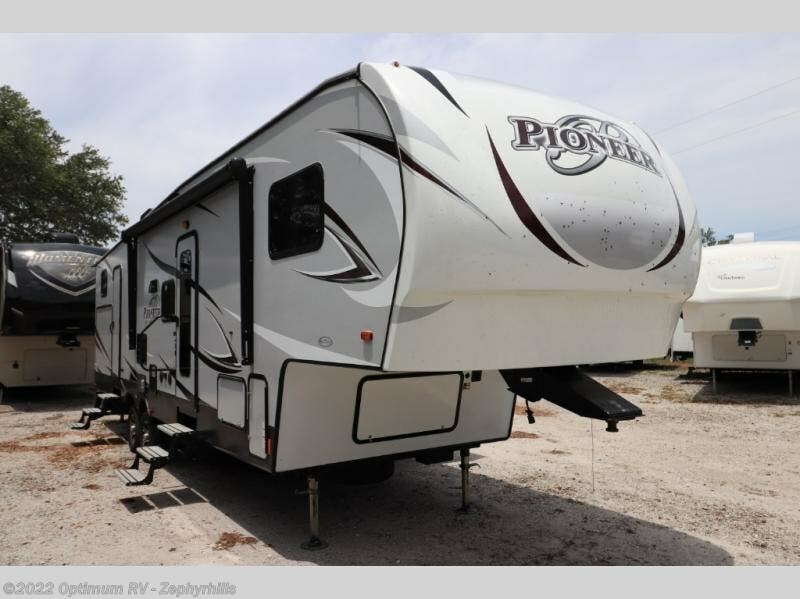 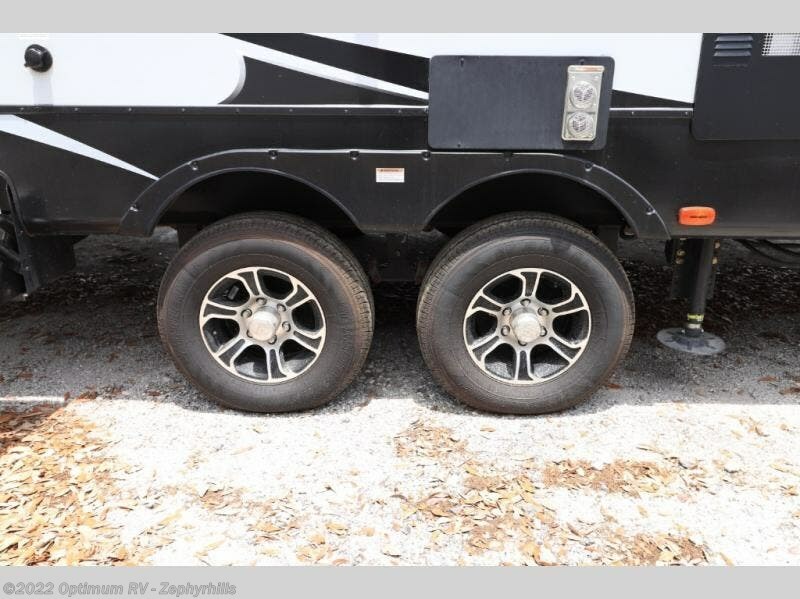 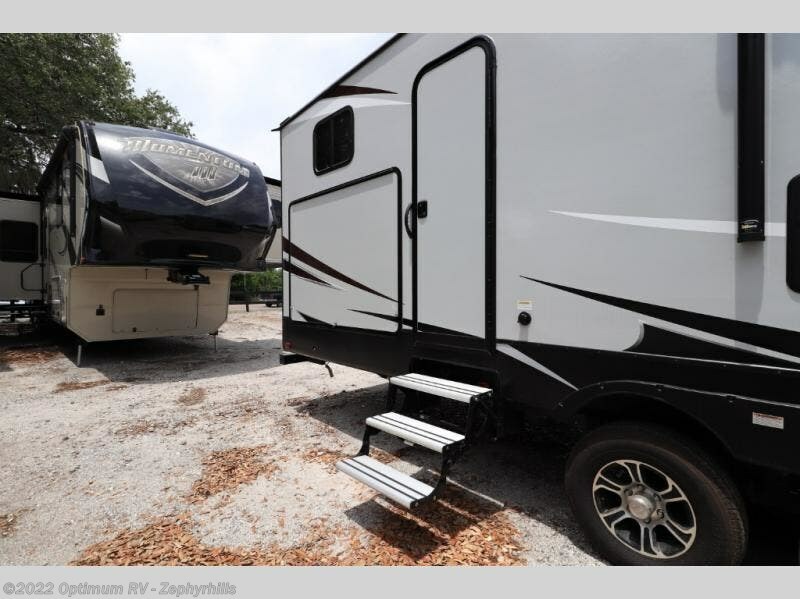 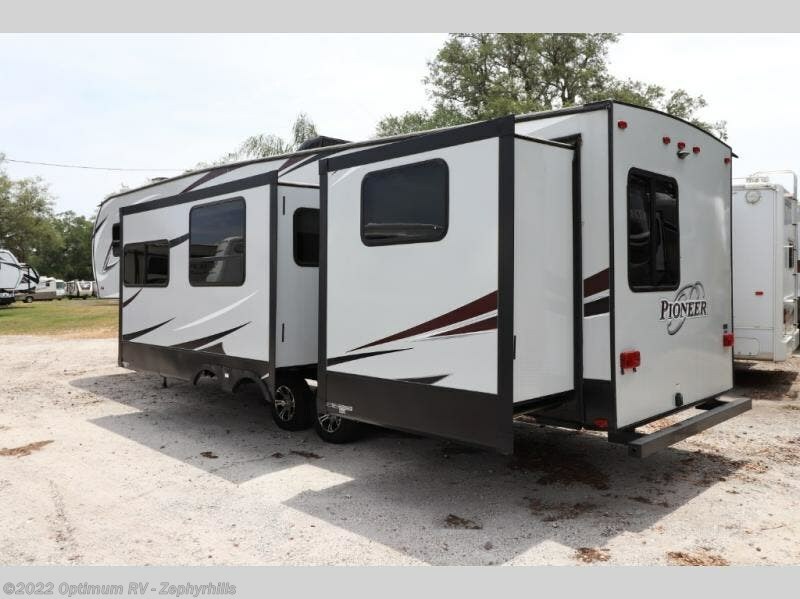 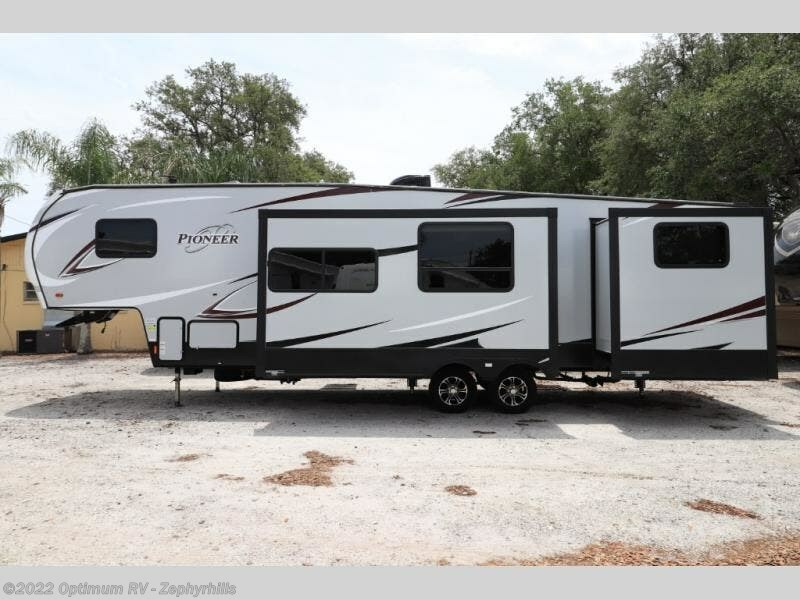 This Heartland Prowler fifth wheel has the perfect set up for a family with children, or those who enjoy traveling with added family or friends. 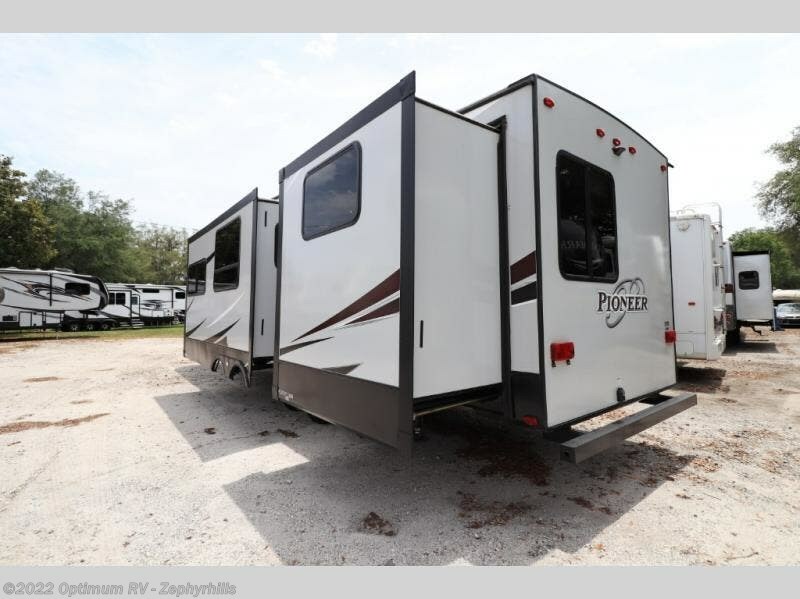 Model P326 offers a rear private bunkhouse for three, dual entry doors, two slide outs for added interior space, plus an outdoor kitchen for those fun camp cookouts! 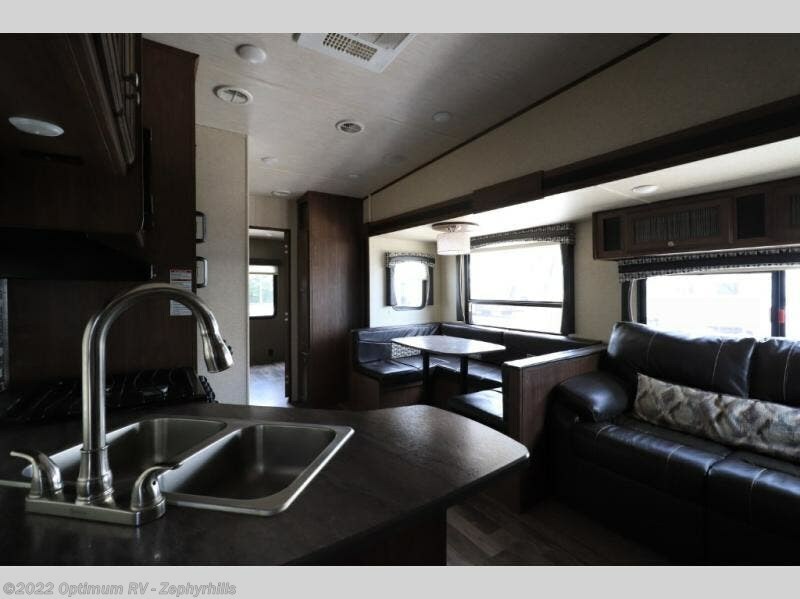 Step inside and find a spacious combined kitchen and living room. 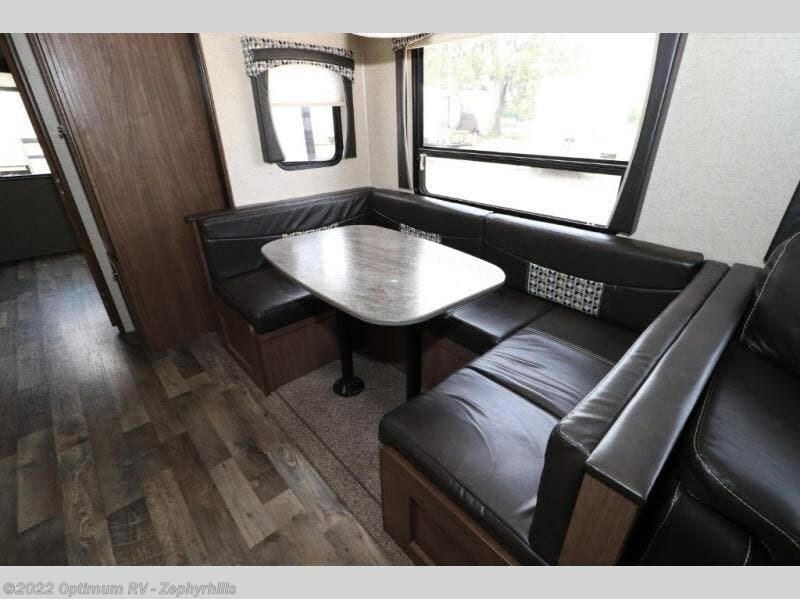 There is a slide out along the road side that features a sofa and large u-shaped dinette. 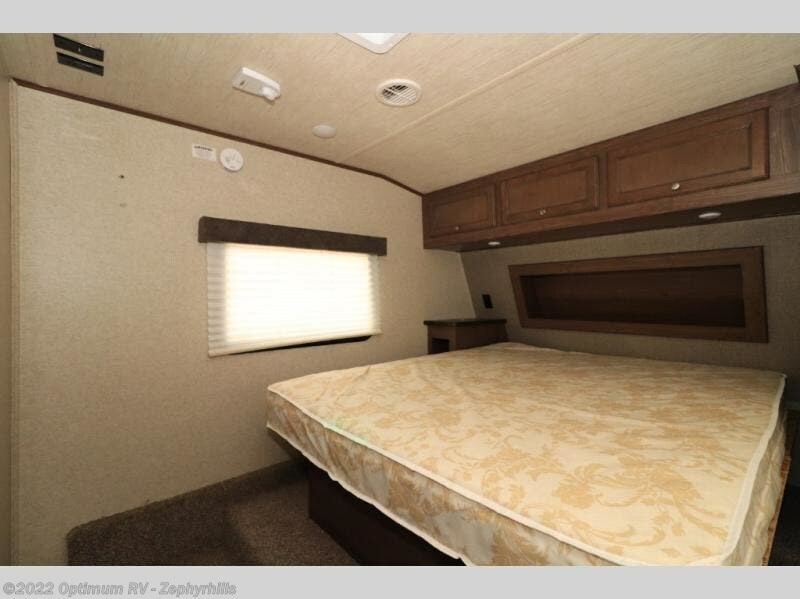 Enjoy all of your meals here, and it can also double as sleeping space when not in use. 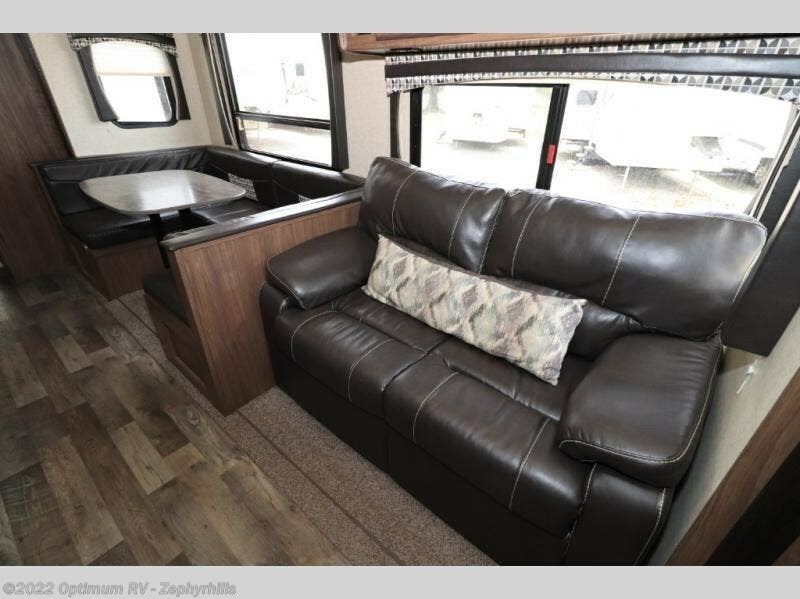 There is overhead storage above the sofa for stowing away your things, and both seating areas can easily view the flat screen TV along the interior wall. 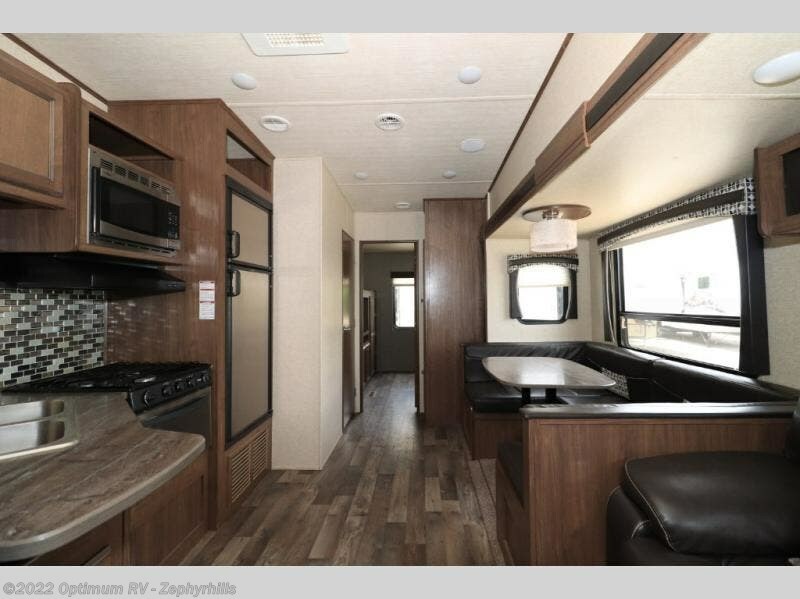 Just inside the door to your left is where you will find the kitchen space. 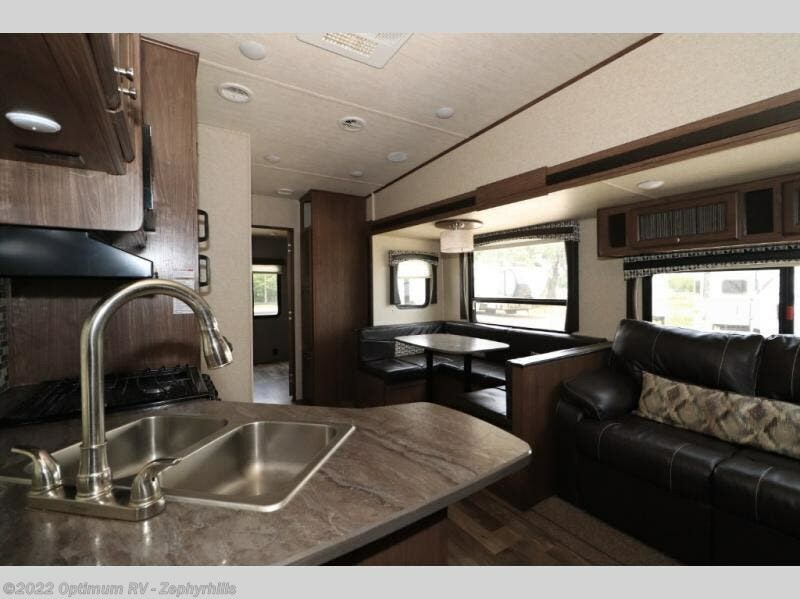 Here enjoy cooking up light meals and snacks with the three burner range, refrigerator, and double sink for cleaning up. 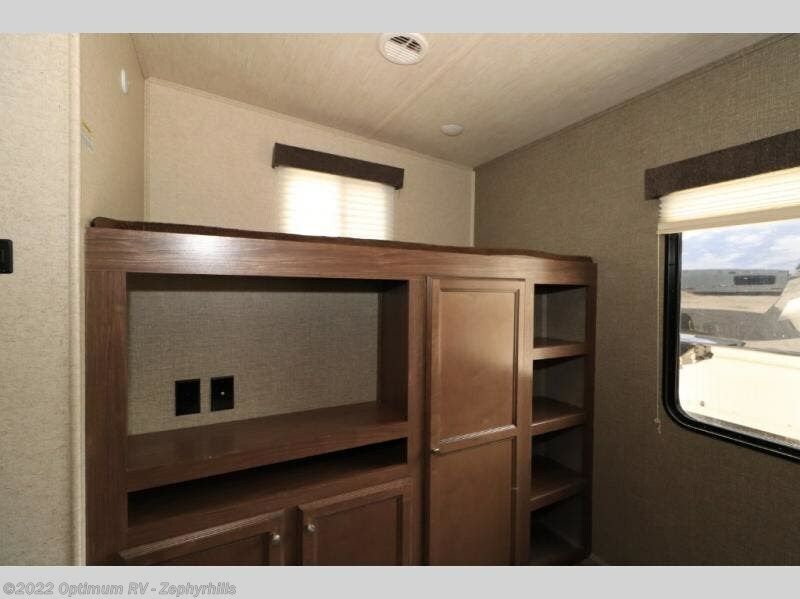 There is a pantry just off the dinette slide for your canned and dry goods. 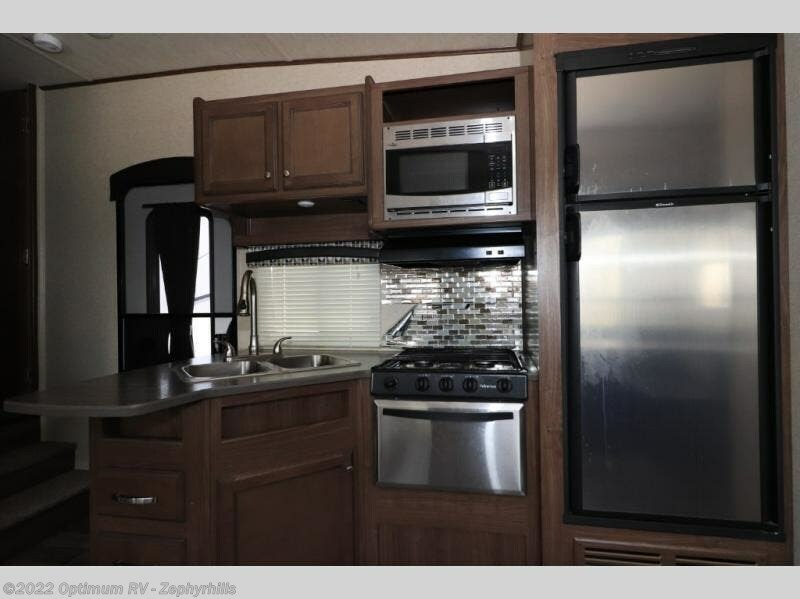 If you want to take the party outside you can easily cook using the outdoor camp kitchen off the curb side back. 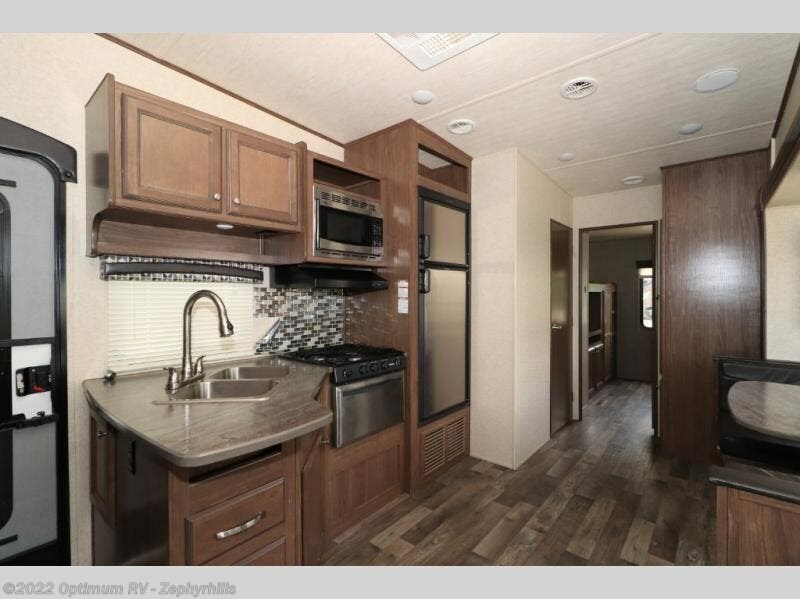 Here there is a single sink, refrigerator, and storage. 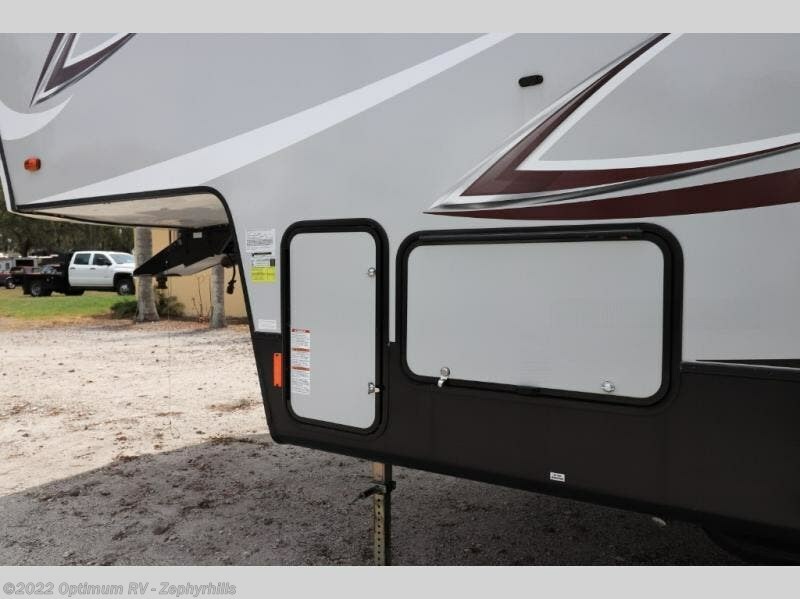 The chef in the family will truly love this feature. 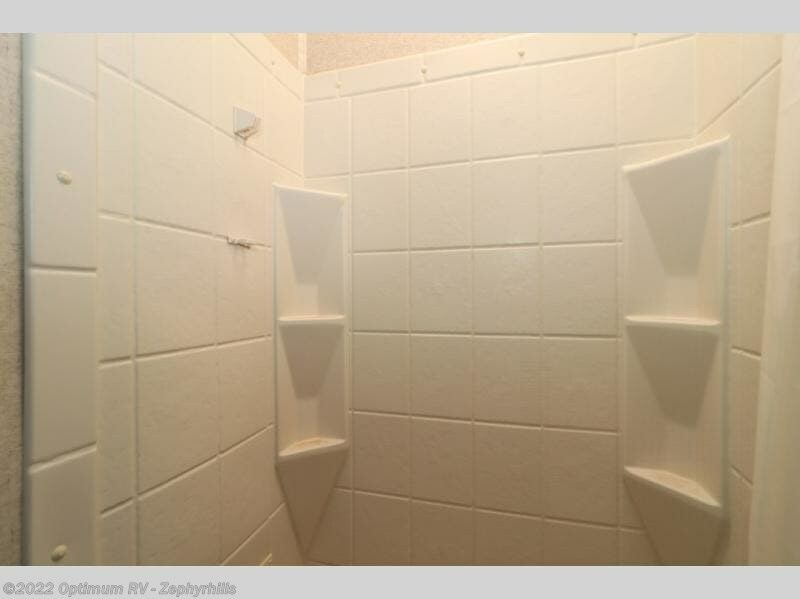 Back inside head up the steps to a front master bedroom and private half bath. 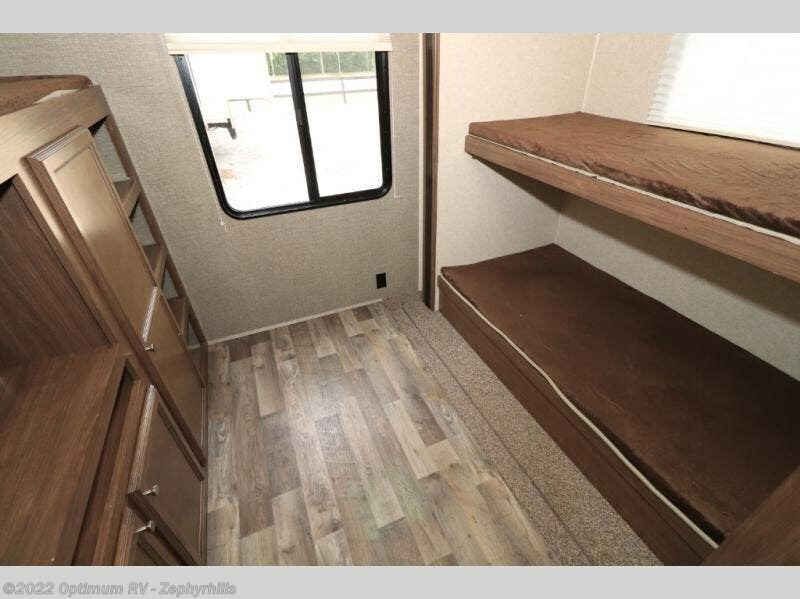 There is a queen bed for sleeping with storage along the road side and above the bed, plus a place for your alarm clock or personal items along the right/curb side of the bed. 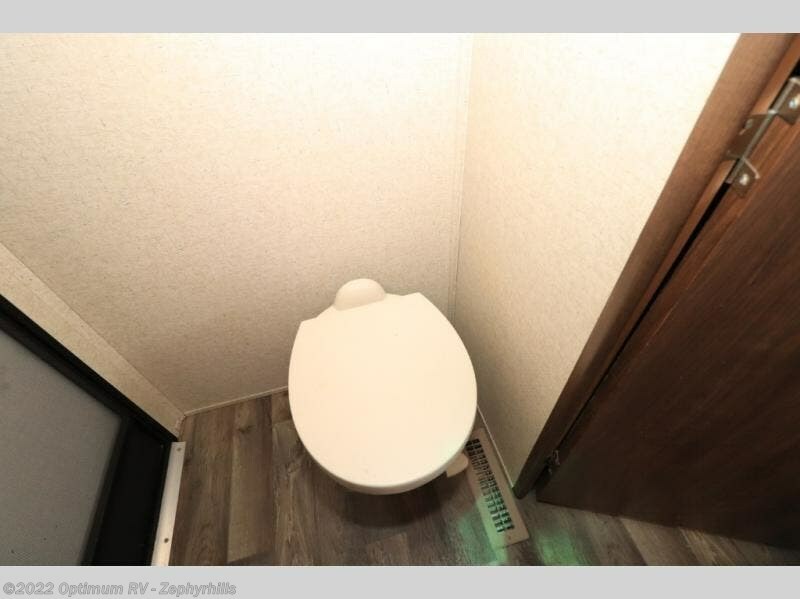 The half bath offers a toilet and vanity with sink. 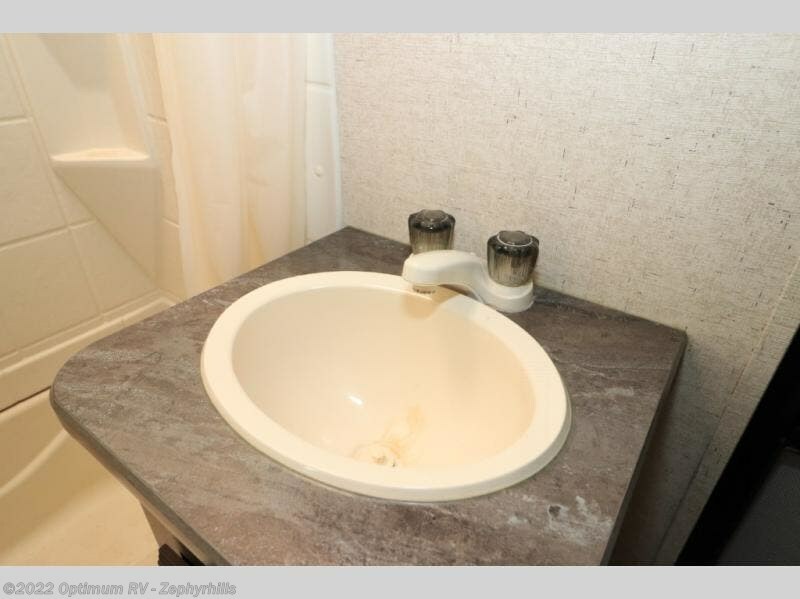 There is also a bit of counter top space just outside the bath as you enter the bedroom on your left. 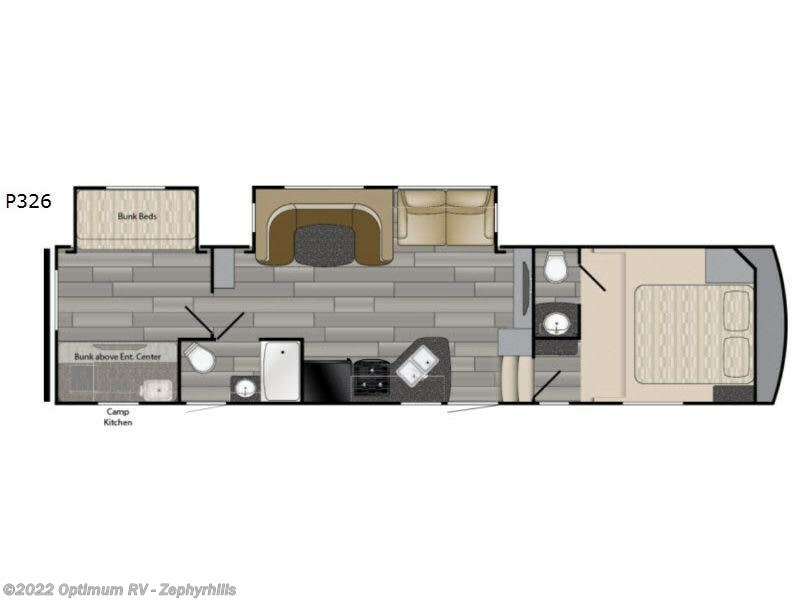 Head down and through the living area to find a full bath with private exterior entry on your left. 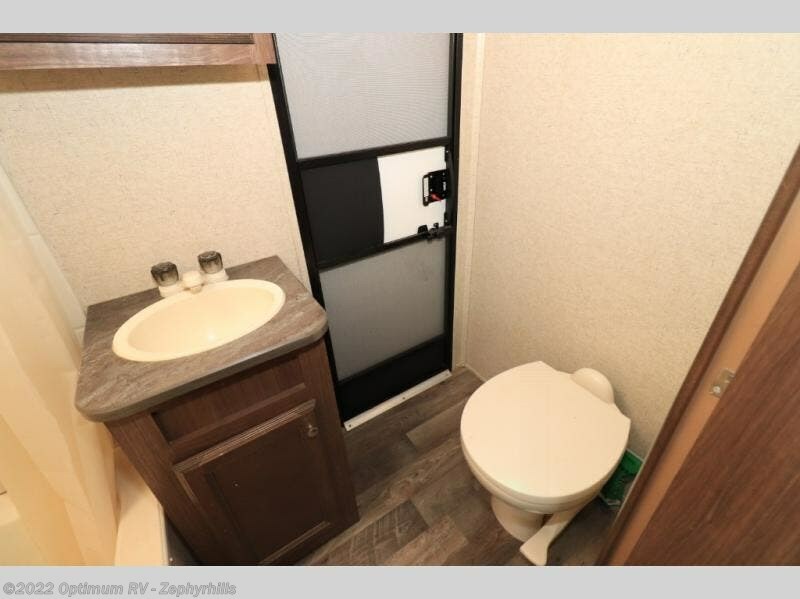 Here enjoy a tub/shower, toilet, and vanity with sink, plus overhead medicine cabinet. 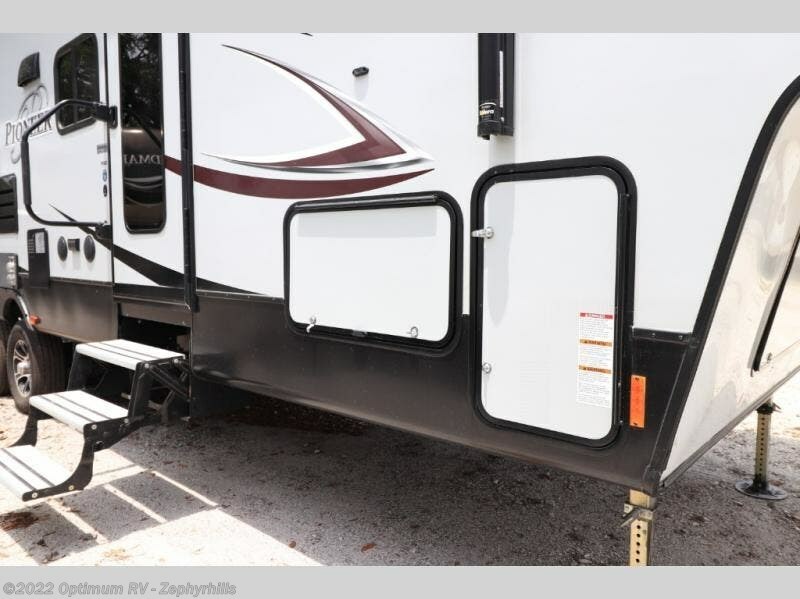 The outside entry door allows you easy access when you are outside and need to use the bathroom. 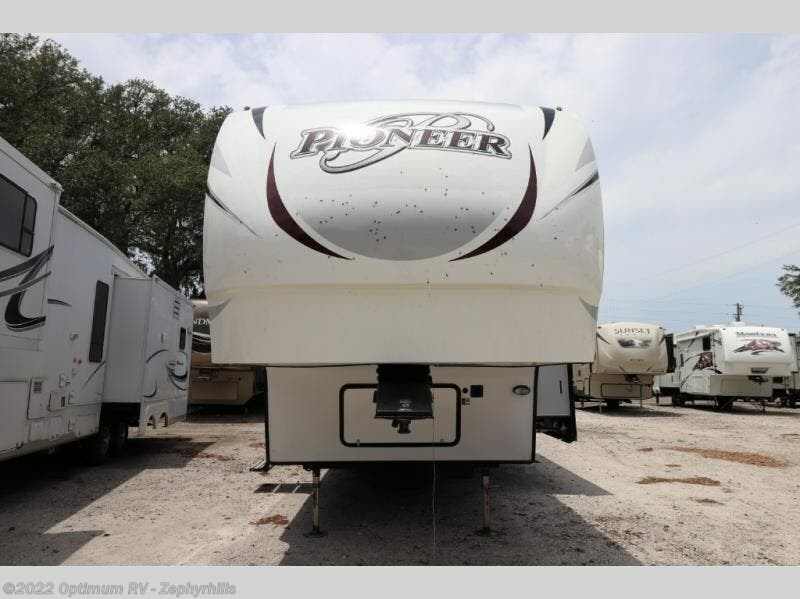 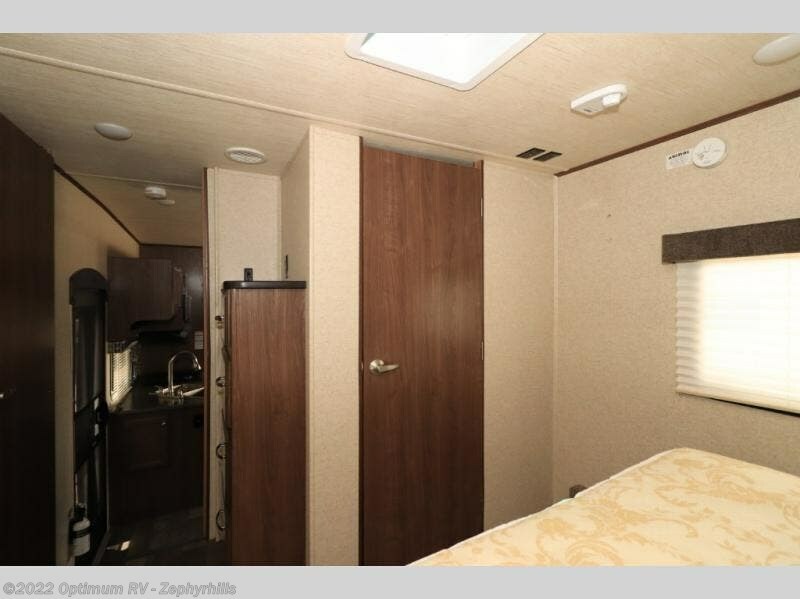 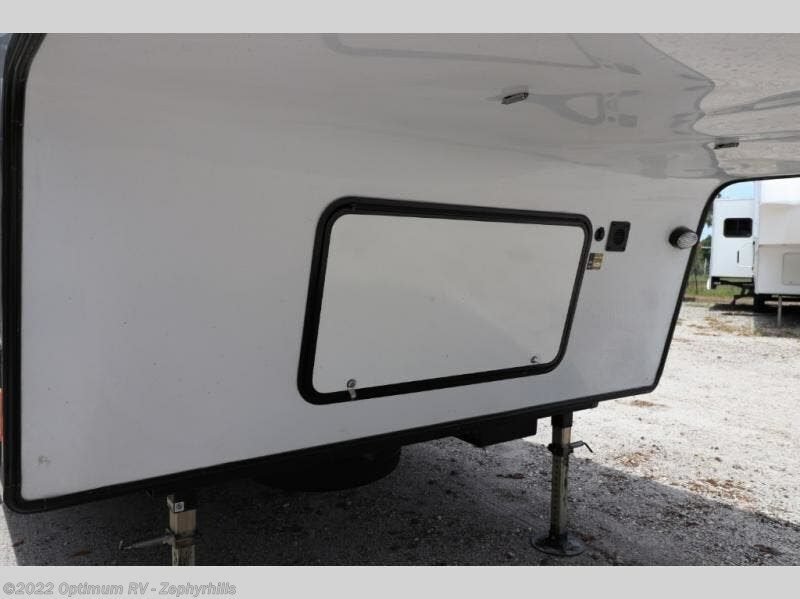 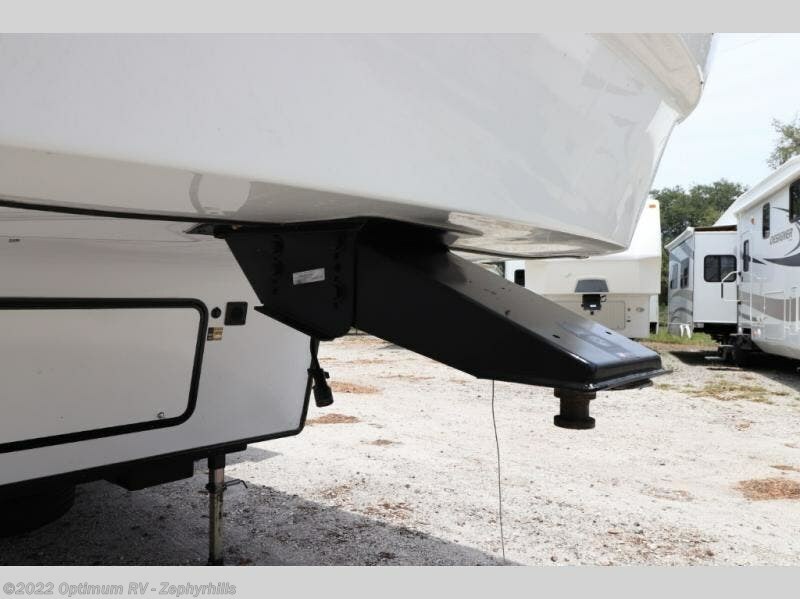 The very rear of this Prowler fifth wheel features a private bunkhouse that the kids in the family will surly love. 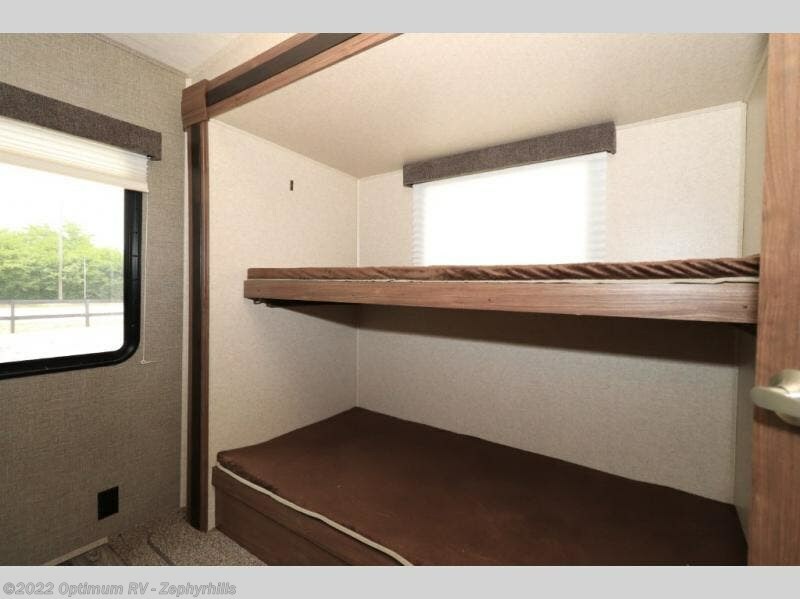 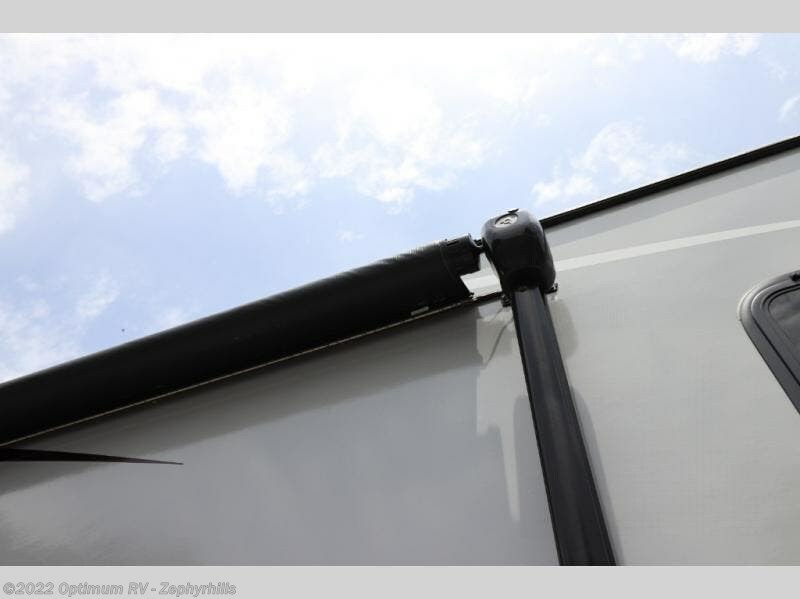 There are slide out bunks along the road side, with a third bunk above an entertainment center and storage along the curb side, plus so much more! 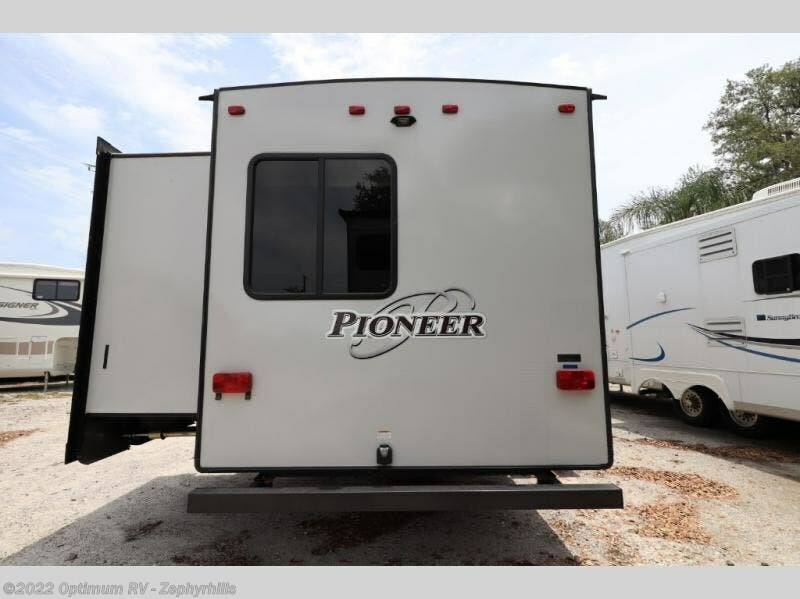 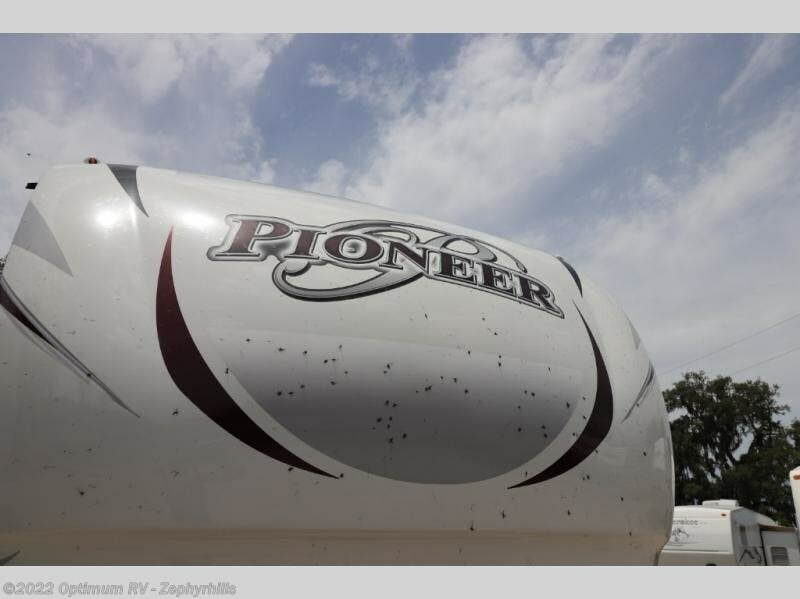 Check out Stock # 2NR391 - 2017 Heartland Pioneer P1322 on heartlandrvsource.com!